Online shopping has increased dramatically over the past decade and people are flocking to online shopping over brick and mortar stores. The convenience of online shopping provides a way for families to buy the things they need quickly without having to leave their home, thus saving time. It is expected that online shopping is expected to reach 17.5% of all retail sales by the year 2021. To put this into perspective, only 7.4% of all retail sales resulted from shopping online in 2015. But shopping online doesn’t always provide you with the best price. There are shipping and processing fees involved, especially when buying through third parties. With the addition of these fees, it might be cheaper to drive to the store to make a purchase. Fortunately, the development of browser extensions allows you to save money just as you would in the store. Saving money has never been more important and with the help of google chrome extensions, you can rest assured that you will have all the tools you need to make sure you get the best price. In this article, I am going to let you know the best free browser extensions that will save you the most money. What are Google Chrome Browser Extensions? A browser extension is a software program that customizes the user’s experience on the web. Depending on your preference, it can make things faster, more efficient, and organized in practically any area of your life. If you look to the right of your search bar, you may see small icons. These are called “extensions”. When the icon is colored, that means it is working. When it’s grayed out, it means that the extension may not be applicable to the page you are viewing. How do Browser Extensions Work? Browser Extensions are pieces of software designed to read the code on web pages. After deciphering the code, extensions can then modify and add features to web pages in a way that enhances the activity on the page. For example, Grammarly, will read the text on the page and make suggestions to improve your grammar in articles that you write. Another example is Honey, a money-saving extension that scans the web for coupon codes that may apply to your order. You must first download the extension and give permission for the extension to access the data that you view. Then, every time you view a web page, your extension will be put to work. Ebates is one of the most popular cashback websites that put money back in your pocket when you make a purchase through their site, links, or buttons. With the Ebates extension, you no longer have to visit the site before you view the online store. You can simply go to whichever store you like and the extension will automatically alert you if cashback is available for that merchant. Another way the extension works is if you type in a store in the search bar, Ebates will show up right above the link to let you know right away if that merchant participates in Ebates cash back services. If that wasn’t enough, Ebates will also scan the shop page for online coupon codes and discounts that work for that merchant. This way, you know that you will be getting the best deal. Ebates released a new feature that will also alert you for Groupon deals. So let’s say you are trying to find a business on Google Maps or Yelp, if there is a Groupon available for that business, Ebates will let you know with a pop-up. All you have to do is click “Get this deal”. Click here to get started with Ebates! Honey works very similarly to Ebates. Every participating merchant site that you visit will allow Honey to automatically apply the best coupon code for you to save you the most money. Honey also has what’s called Honey Gold. Essentially, it’s like a cash back component of the program. When you visit a site and get to the checkout page, Honey will automatically apply the best coupon code for you. When you see the Honey Gold symbol next to the merchant logo, that means that the particular offer you are purchasing qualifies you for Honey Gold. The amount of Honey Gold you receive varies because it is randomized. Once you earn 1000 Gold, then you are eligible to cash out for a $10 gift card to one of nine stores. Honey also works with Amazon. When you are shopping on Amazon, Honey will help you find the best price in 3 ways: Best Price Detection, Price History, and Droplist. Price History– Honey keeps track of the purchase price of any item for up to 120 days. You will know if there is a certain time of year that the product price drops. Droplist- You can sign up to be alerted when a particular item on your list drops. That way, you know you are getting the deal you want. Since Amazon doesn’t allow for outsourced coupons to be applied, Honey has figured out a way to still save you money even without coupons. Honey will search the site for the best price for that item. Click here to get started with Honey! If you are an Amazon fanatic, then you need The Camelizer browser extension. Camelizer analyzes long term purchase price history and will let you know if the current price is good or not. Once you are on the Amazon site, click the Camelizer icon in your extension area to view the stats on the particular item. You can even set up alerts via email or Twitter if the price for a wanted item drops. Click here to get started with Camelizer! Gumdrop is an extension that works by fetching coupon codes that may apply to your online purchase. The unique thing about Gumdrop is that it also searches for the amount that stores will donate from each purchase. You will see this in the pop-up and in the search results when shopping online. Now, you can donate to a cause of your choice AND save money at the same time. Click here to get started with GumDrop! Swagbucks is another popular website that gives you cash for shopping online, taking surveys, watching online videos, and even surfing the web. You earn what’s called, Swagbucks. 100SB=$1. Plus, you can cash out for as little as $1. You won’t have to wait until you meet a minimum payout threshold like other sites. 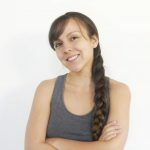 For it’s extension, SB has released the ability to scan the web for the best possible discounts and coupon codes to get you the best deal. In addition, SwagBucks Google Chrome Extension will also allow you cash back on items/merchants that are eligible. What’s unique about the Swagbucks browser extension is that if you click on the browser icon, you will be able to shop directly from the extension, watch videos directly from the extension, and automatically look for Swag Codes ( a bonus code in certain webpages to give you extra swagbucks). Click here to get started with SwagBucks! If you like to travel, this is a money saving extension that you are going to want to add. Invisible Hand works by scanning the lowest prices for airfare, hotel, and rental cars. It can also scan for lower prices when shopping online, but its bread and butter is in the travel aspect. Invisible Hand has some unique features such as real-time prices, which refreshes the prices shown every time you use it. In addition, it will reveal hidden prices that most retailers don’t really want you to see and it learns as you use it, making it super efficient to your online search queries. You know that you will able to get the best prices when it comes to travel with Invisible Hand. Click here to get started with Invisible Hand! It’s important to know that in order for some of these browser extensions to work, it needs access to your data. Browser extensions are like any other piece of software. They could contain malicious code or bugs. But you’ll need to do your research to make sure you pick a trustworthy extension. Just like anything you do when shopping online, you need to be careful with browser extensions. They are constantly running in the background, so if an extension had a bug or malware, it could be used to spy on your activity- possibly catching your passwords or credit card information. This is a general risk when shopping online and the risk is no different when installing browser extensions to save money. If you download an extension from a well-known and authoritative site, then the risk is generally minimal. But it’s good to be mindful of the risk. Will it slow down my speed? Most browser extensions are lightweight but if you have too many running at one time, then you will notice your speed decrease. Try to keep your money saving browser extensions to a minimum. Find the top 3 that work for you and your shopping habits and stick with those. 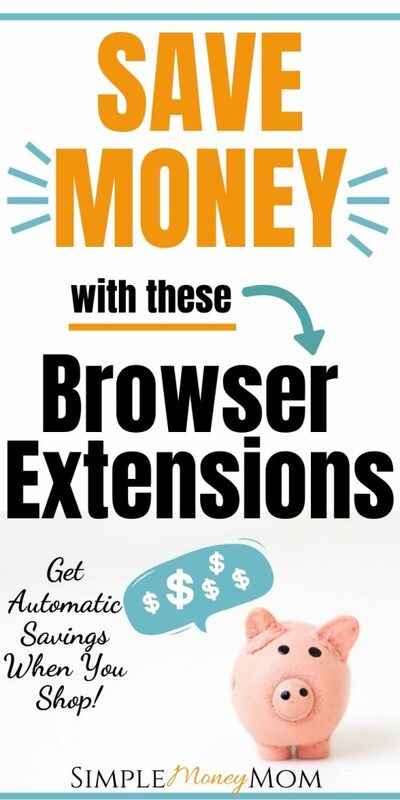 You can save a lot of money with browser extensions if you love to shop online. Test out which browser extension will save you the most money consistently and stick with it. You can have too many browser extensions. Be mindful of permissions to give and the properties of some extensions. Just like anything else on the web, you could come across a bug that may be harmful to your computer and data.